We are a leading Manufacturer of l&t soft starter, schneider soft starter and soft starter from Pune, India. From the very first year of commencement, we are engaged in providing our customers with a wide range of L&T Soft Starters. 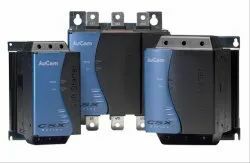 Widely acknowledged by the clients for excellent performance, easy maintenance, durability and reliability, the range is extensively used for diverse industrial applications. Besides, all our products strictly comply to the international quality norms & standards. The offered range can also be availed in customized specifications. 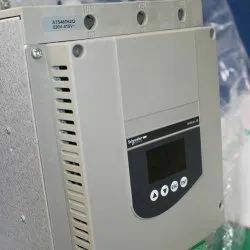 We are a prominent organization engaged in manufacturing, supplying and exporting a comprehensive assortment of Schneider Soft Starter. The team members involved with us try to offer these services in compliance with the requirements of our customers and incorporate their each specification. Besides, widely appreciated by the clients for durability, high functionality, flexibility, personalized approach and timely execution, our services are executed using high end tools and sophisticated technology. 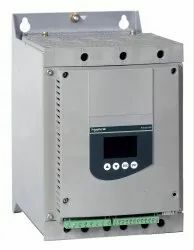 We are well known supplier of soft starters up to 600 KW of various brands. Our product range is technicall advance.